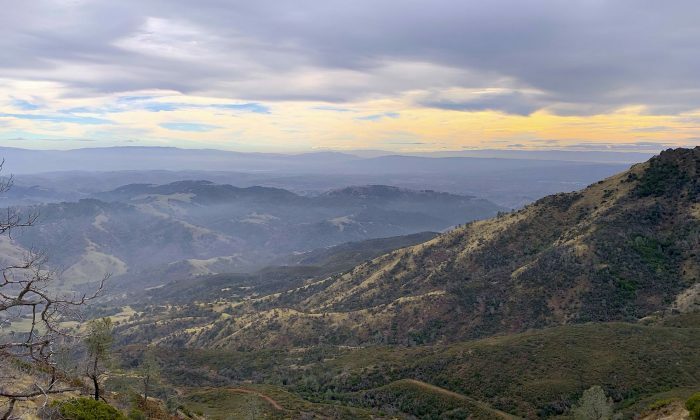 CLAYTON, California—Authorities say a body has been found in the wreckage of a plane they believed crashed Friday night, Feb. 8, two miles southwest of the peak of Mount Diablo in Northern California. Federal Aviation Administration spokesman Ian Gregor says the single-engine Mooney M20 crashed into the hillside in Contra Costa County. Gregor says the exact time of the crash hasn’t been determined yet. He says the aircraft burned after crashing. California State Parks spokeswoman Gloria Sandoval says the body was found at the crash site and that the Contra Costa County coroner’s office is at the scene. KGO-TV in San Francisco reports that authorities say the pilot was believed to be the only one on the plane. The pilot’s name was not released. Gregor says the pilot was flying from Hayward to Lincoln. He says that on Saturday, a family member of the pilot reported the aircraft was overdue after it had not landed as scheduled. The FAA and the National Transportation Safety Board will investigate.